An early morning wake up and meeting at India Gate followed by a quick briefing session and now this is the time to start the life time dream trip to Pathankot at wee hours via Karnal (breakfast), Chandigarh (quick break), Ludhiana (lunch), Jalandhar and Dasuya. 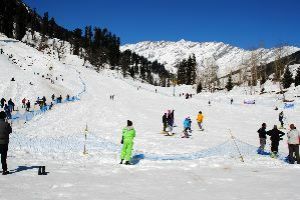 After having a North Indian breakfast we leave for Patnitop which is also known as mini Kashmir riding through the green andmesmerizing hilly landscape while entering in Himalyas, enroute we will cross the Jammu. Heading towards the heaven of India where you will get the opportunity to enjoy shikara ride in world famous Dal Lake and stay overnight in the lap of mighty beautiful nature of Srinagar. And will feel the beauty of Kashmir valley. 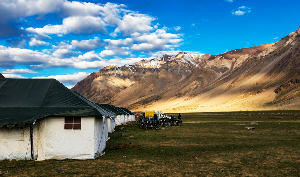 Now this is the day when we have to see, feel and enjoy the green mesmerizing beauty of sonamarg (Golden Peak) and just after that we have to face the actual adventurous ride of dangerous and one of the toughest pass of the world Zojila Pass and at the end of the day will be the witness of symbol of Indian victory (kargil war memorial- Drass) over the pak in 1999. As per sign board we will also cross the one of the most coldest inhabited place in the world (Drass). 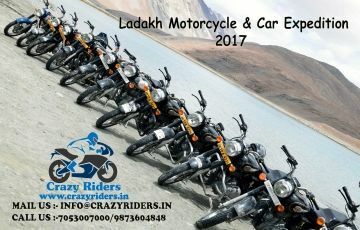 After breakfast, check and gear up the bikes as necessary and get ready for the adventure that is to follow and set out for local sightseeing, exploring Leh and the neighboring attractions, visiting Shanti Stupa, Jama Masjid, Leh Palace, and the Hall of Fame. In the later part of the day shopping in the colourful Leh Market. Night Stay at LEH. 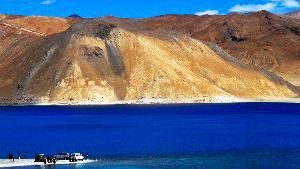 Gear up and speed off on the smooth tarmac to meet the Pangong Lake, mighty Chang La (17586 ft) - the 3rd highest motorable pass in the world, and Monasteries like Hemis, Shey, Thiksey etc. It would be also the dry run for few next days as still Top of the World is pending to conquer. 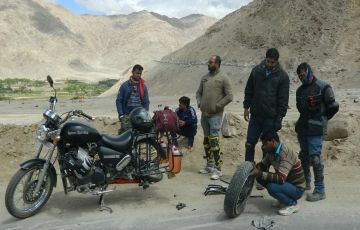 You can get a chance to have a cup of tea at 3 Idiots Cafe with your own Idiots co riders on the bank of Pangong Lake. Overnight at the Camp at Pangong Lake. 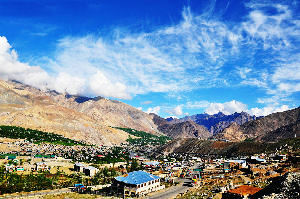 Instead of coming back to Leh from Pangong TSO, we will head towards Nubra Valley via Shyok route. This will give us an additional opportunity to ride/drive as real off roading, water crossing and save a day as well. 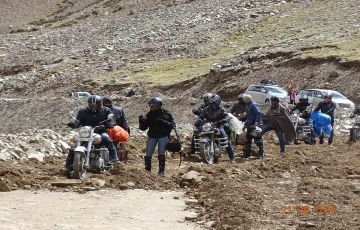 We have to take right turn from DURBUK where we will get the chance to ride along with SHYOK RIVER, after crossing the Agham village meet the Leh-Nubra road at Khalsar. Welcomed by the famous Sand dunes in cold desert and double humped Bactrian Camel. Overnight stay at camp. After Breakfast from Nubra Valley head towrads to Leh Via across Khardung La Ride up the dream of every rider Khardung La (18380 ft) - the highest motorable road in the world, there is a café at the summit maintained by Indian Army, Have a cup of Tea there, get yourself clicked with the Khardungla Signboard by BRO but don't forget to leave the top as early as possible. 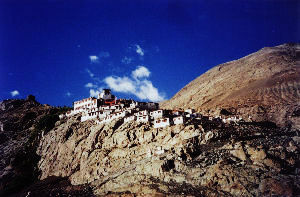 And then reach the Leh City and stay overnight in Hotel. After a healthy breakfast in hotel move towards Sarchu the best destination to stay over night on the route of Leh- Manali highway get ready to ride up a humpy &bumpy road to the mighty Tanglang La (17582 ft) - the 2nd highest motorable pass in the world, called by many as the "highway to hell" owing to its super smoothroadway and thus, riding on this road can be tricky demanding high alertness, cautioning the bikers at every turn as the elevation and turns are so sharp, enroute we will cross Karu, Upshi, Rumtse, Tanglang La ( The Second Highest Motorable Road in the World) , Debring, Pang and will reach Sarchu, overnight stay at camp in green mesmersing nature. Today get ready to finish up your tough and humpy & bumpy ride, and reach Manali to get refreshed in your own way. Say thanks to mighty Himalaya for your good & safe journey and enjoy overnight at Resort in Manali, can roam at Mall road. At one shot have to hit the Delhi by tonight. Say thanks to Almighty God and your all your well wisher for best wishes and go your home with lots of unforgatable memories. Latest trip ideas: » 10 Best Luxury Resorts in India » How Ghaziabad Airport will be a savior for Delhiites » 8 things you should know before you leave for Japan » Best Restaurants in Nepal » Weekend Getaways from Ahmedabad » The most amazing new airports opening in 2019 » Where to shop in Ireland » Weekend Getaways From Mumbai » Weekend Getaways from Kanpur » Unusual things you can only do in Bali » Best cafes in Myanmar » Visualize the scenic charms of world airports during flights land and takeoff » Switzerland's Glacier Express train just got even more spectacular » Pocket friendly hotels in Ireland » The top 4 cities in America that you must explore » Your guide to nightlife in Pattaya » Best places to have breakfast in Russia » 10 best things to do in Delhi this summers » AirBnB properties that will take your breath away » India’s Jet Airways finally collapses and ends all its flights » All about Chengdu - Panda breeding center in China » Weekend Getaways from Patna » Dishes to try in Panchgani » What you should eat in Rishikesh to enjoy the local flavour? » Weekend Getaways from Lucknow » Budget hotels in Myanmar » Amsterdam to ban red light district tours in 2020 » Five tedious Himalayan Trek » Local Mumbai food you must try on your next trip » Why do you need to visit Italy’s Coral Reef?